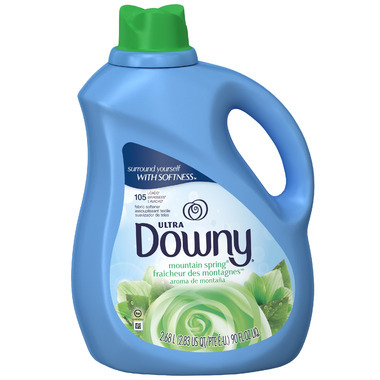 Downy Ultra Fabric Softener Mountain Spring Liquid 105 Loads is formulated to keep your fabrics fresh with less static and fewer wrinkles. Notice: Do not use this product on children's sleepwear or garments labelled as flame resistant as it may reduce flame resistance or on garments made with fluffier fabrics containing cotton (such as fleece and terry cloth) as it may increase the flammability of these fabrics. Not loving the scent, I'm sure it works great but will have to pass it on to my mother who will use it! Fantastic smell...as always Downy produced a great product!